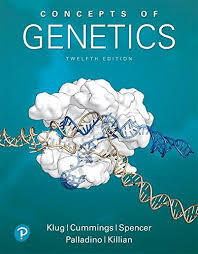 Genetics research papers examine the study of genes and how they relate to heredity and variation in living organisms. Every living organism contains genetic material, including animals, people, plants and bacteria. Paper Masters will compose a custom written research project on Genetics that follows your guidelines. According to the Human Genome Organization, the human genetic code is complex production of proteins. With regard to the complexity of the human being, it is likely that humans are vastly different in minor ways. So, in a crowd, there are typically no two individuals who look exactly alike. But at the same time, all of the individuals are functioning basically in the same way, with their lungs breathing and their hearts beating. And except for individuals who have deformities or who have experienced accidents, they will all have two eyes, two ears, a nose, and a mouth, and five senses. In a sense, the notion of complexity is dependent upon the exact question being raised. Fortunately, the specie of human is not so complex that the notion of a map of the DNA sequence is an impossible dream. Instead, it is a reality that will enable scientists to make many determinations and discoveries regarding the human, especially in the area of behavior. It is evident that in the near future there will be a clearer understanding of answers regarding “nature versus nurture” in terms of human capability and functioning. One of the most exciting fields in genetics is genetic engineering. Genetic engineering when put another way could be described as designer people. Genetic engineering can provide great benefits when it comes to crops and livestock. After all, hybrids are a form of genetic engineering. When we discuss genetic engineering with respect to humans, we begin to get into the realm of making it possible for a person whose heart is failing to have a new, healthy heart grown to replace the sick one. There would be no problems of rejection because the person is getting what is in effect their own heart. It may be possible to enable a person who has lost an arm in an accident to grow a new one. But on the dark side, engineering genetic material could make never before seen, totally unrelated creatures, even combining plant and animal characteristics. Conceivably, genetically combining a cow and a plant could give birth to an animal which would use photosynthesis and quantities of water instead of grass, hay and feed to become ready for market. It makes the head spin. Modern science has problems enough with diseases which mutate as they develop such as AIDS and Hepatitis C. What would happen if a genetically engineered virus or bacteria could escape the laboratory. This would be a virus which our immune systems have never encountered before. Could it wipe out all human life? Human Genetics research papers overview the study of biological inheritance as it occurs in humans. Human Genome Project research papers write on mapping the genetic code of the cells in the human body. The Role of Thermal Bacteria in the Origin of Life Research Papers explore two types or prokaryotes, and how they evolved over the years. Bacterial Growth research papers discuss two types of bacterial growth. Ribosomes Research Papers - Structure of ribosomal proteins; Location of ribosomal proteins; Function of ribosomal proteins. IV. Ribosomal protein translation and impairment. DNA Fingerprint is a DNA profiling technique used to identify a criminal. Order a Research Paper on DNA Fingerprints today! DNA Testing Research Papers are custom written on using DNA evidence through DNA testing. DNA Evidence at crime scenes is invaluable and is discussed in a DNA Evidence research paper from Paper Masters. Primate Social Behavior Research Papers discuss the studies by scientists that get a better grasp on human behavior and evolution as well. Paper Masters writes custom research papers on Genetics and examine the study of genes and how they relate to heredity and variation in living organisms.